Thanks to the help from Jen Goode of JGoode Designs, we have a new logo! Jen was able to take the cool airbrushed t-shirt that we had done at the fair last year and turn it into a logo. There’s still some finishing touches to be made in the way of embellishments, but here’s the new logo! Thoughts? Go help us thank Jen Goode for her awesome work! You can follow Jen on Twitter @JGoode! 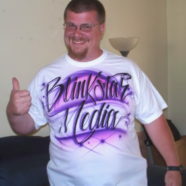 2009 has been fantastic for Blinkstar Media! We’re excited to see what 2010 brings for our little company. From Dominic and I, we wish you a very merry Christmas and a Happy New Year! Let us know how we can help you in 2010! We offer website design, webmaster upkeep, affiliate program management, affiliate marketing services, and other online marketing tools. 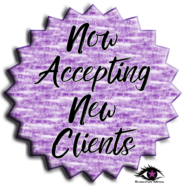 Email us for more information at info@blinkstarmedia.com! Blinkstar Media welcomes Dominic Fawver to the team! 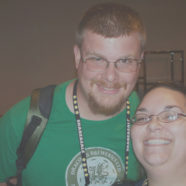 That’s right, Dominic Fawver will be joining me at Affiliate Summit East 2009 this August in New York City. Dominic will be assisting me in covering more of the conference for TrishaLyn.com, as well as starting a new model train related blog soon. So look forward to another addition to the Blinkstar Media family and help me in welcoming Dominic! 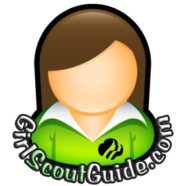 F’Reals This Time: Girl Scout Guide has Content!